The Big Picnic Steyning Downland Scheme Off Mouse Lane, Steyning Sunday 9th Sept 12.30 - 3pm. We are celebrating our 10th year with our biggest Big Picnic so far! Join us for a wide variety of fun activities for all ages. 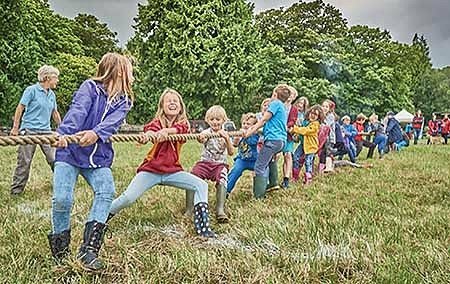 Old favourites like apple pressing, tractor rides, bushcraft demonstrations, willow workshop, face painting, a fun dog show and meeting the farm animals will be on offer. As well as parachute games, sack races, music and the ever popular delicious cakes & bacon butties. The event is free but donations are welcome to support the Conservation Work that the Steyning Downland Scheme carry out. Tractor Rides for £1 / family will leave from the Steyning Leisure Centre - otherwise walk or cycle to the The Big Picnic field, off Mouse Lane, Steyning.